Global economic growth has led to the overuse of natural resources like the atmosphere, land and forests. These special assets are called global commons, because they need worldwide cooperation for their sustainable use. To achieve that, a farsighted and international view is needed, which governments and other stakeholders often lack. MCC aims to fill this gap and provides policy advice as well as research on long-term, global issues such as climate change: In this area we explore solutions, foster public debates, and support a broad societal exploration of development alternatives. 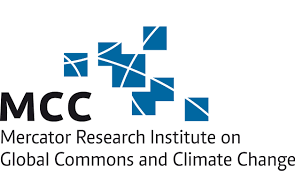 MCC was founded in 2012 by Stiftung Mercator and the Potsdam Institute for Climate Impact Research (PIK). At the end of its inception phase, which ran from 2012 to 2015, MCC supported 28 full-time-equivalent positions, distributed across 47 total staff members. Our research is carried out in seven working groups and one special task force. Be part of G20 Insights! Contribute your expertise by sharing your Policy Brief.